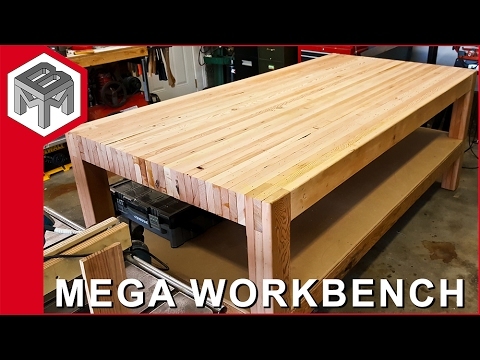 In this video: How I made a MEGA workbench out of reclaimed wood. I remodeled an old barn last summer. While demolishing the interior I had a chance to recover some of the old lumber. I hope I cover enough detail in this video to be helpful. (affiliate links) - These help fund the videos at no extra cost to you. This video is only for entertainment purposes. If you rely on the information portrayed in this video, you assume the responsibility for the results. Always think ahead. Every project you try is at YOUR OWN RISK.